HARDWOOD floors. New HVAC, Fresh paint and fresh yard clean up. H20 tank is newer as well. Plenty of fenced in parking in back. 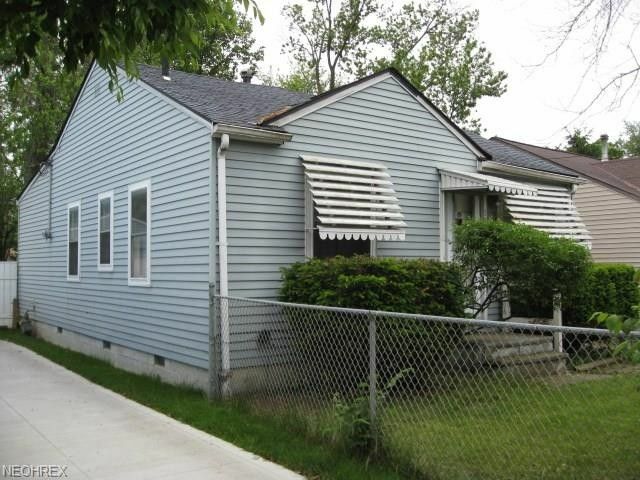 Move in ready or great investment for rental. Owner was getting $795 a month. Bring offers please. Quiet dead end street. Close to shopping and public transportation. Directions: East off W 130th just north of I480.